We are proud to be located in the South Cariboo, the heart of cowboy country. Whether you are looking to relax and enjoy the view or reconnect with loved ones, a Ranch Holiday offers something for everyone. Come enjoy nature and breathe in the clean country air at 4200 ft.
We’ve given a lot of thought and attention to our Guest Ranch, and have designed it with affordability and comfort in mind. Our guest houses have all the amenities you're accustomed to at home in a unique atmosphere. It is so wonderful to be able to share our amazing property with you! We are no strangers to the hospitality business, previously owning a luxury Inn & Farm on Vancouver Island for 20 years. This experience has brought about many great ideas centring around how to make your stay even more enjoyable. The Montana Hill Guest Ranch was acquired our in Sept 2016. 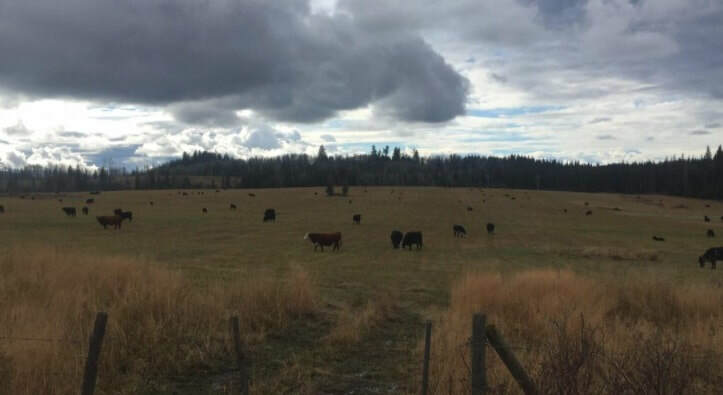 Not long after we moved in, we acquired a herd of Red Angus heifers, and have an exciting Spring to look forward to with all of our new calves. Bring your own horse and enjoy the scenic trails; we provide a paddock and shelter for your horses. 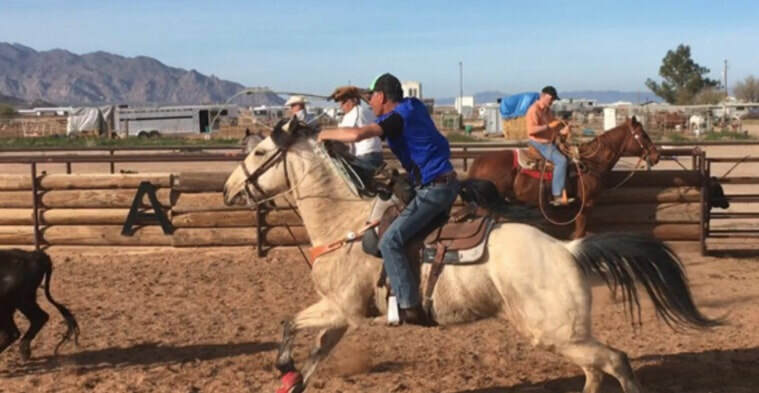 Be sure to check out our activity page; we offer professional Cowboy Roping lessons, Western Barbecue nights, and Spa services. ​We're pet friendly too! 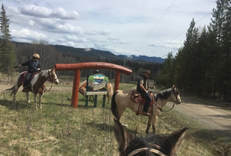 Come and enjoy the working ranch horses on our expansive acreage leading to amazing lakes, and picnic areas amongst the Cottonwood trees and unspoiled nature. in the South Cariboo region of British Columbia. ​Her father was a minister with the United Church. Her most memorable vacation as a child was going to a horseback riding camp on Prince Edward Island. She pleaded with her parents to let her bring the horse she rode and bonded with home with her. She fell in love with horses from that time on. The Dillabaughs are breathing new life into the operation. Alan and Elaine moved to the South Cariboo from Vancouver Island in September of 2016.
and Elaine and Alan love it. "It's an amazing experience," says Elaine. Over the winter they've been busy finding the perfect horses. They searched out and acquired well-trained horses for their ranch-geldings only. ​Both Alan and Elaine have had a fondness for horses from an early age. Elaine moved around a lot as a child. AI grew up on a small farm just south of Ottawa Ontario. Al's dad trained Standardbred race horses and was quite successful. AI never had a bicycle growing up but there was always a horse to ride. Elaine and Alan moved to Victoria, British Columbia in 1 986 and opened a thriving business called The Prancing Horse -a retreat center and bed and breakfast. ln 1997 they built a gothic Victorian castle boutique inn and farm and sold it in the fall of 2016. The Dillabaughs always dreamed of owning a guest ranch. Their niece and nephew visited them each summer and they planned dude ranch excursions. The Dillabaughs took them to the Kootenays and visited guest ranches and, to this day, that's the holiday they all still remember the most. Elaine and Alan have passionately thought about designing Montana Hill so it's affordable and cost effective and still offer all the comforts and luxuries you would expect in much pricier guest ranches. 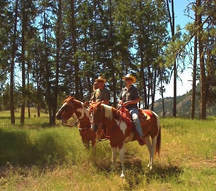 Montana Hill Guest Ranch has expansive acreage and is nestled in gentle hills with pine trees. It is surrounded by endless public lands with lakes and scenic trails. The fresh air, panoramic views, and quiet surroundings contribute to an environment that will charge your batteries and relieve the stress of busy lives. Prepare for an unforgettable vacation. 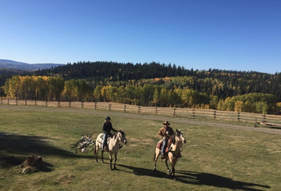 Montana Hill is one of the few ranches where you can bring your own horse. There are four log cabins nestled amongst the cotton woods and Alan built paddocks with shelters behind the cabins. They are tastefully decorated with antiques and western collectibles. 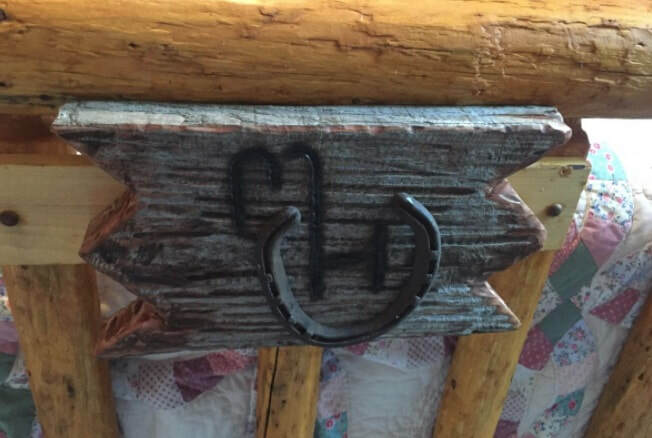 Al even built log-canopy beds for each cabin and Elaine gave them her feminine decorating touches. Each cabin has a Vermont cast iron gas fireplace, en suite, and kitchenette. On the decks there are private hot tubs, barbeques and comfy chairs for relaxing. In the main ranch house, you can enjoy a game of billiards, read a book in front of the river rock fireplace decorated with trophy caribou, moose, cougar, and antlers, or take one of the many movies back to your cabin. A full gourmet breakfast is included each morning. You can cook your other meals in the privacy of your own cabin or visit one of the local restaurants in the area. There's also a ranch store, with lots of specialty items. Montana Hill staff will make you a picnic basket if you want to go exploring. We have carefully handpicked some amazing horses over the winter, wanting the very best for our guests. ​We selected a herd of geldings; and whether you love paints, buckskins, palominos or solid colors, you will be delighted. We have a horse for your specific riding level, and each horse has their own unique and wonderful personality. 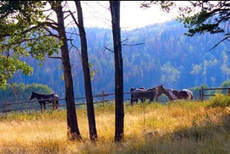 ​If you care about the horse you ride, Montana Hill is the Guest Ranch for you. We also welcome you to bring your own horses, and provide a separate paddock and shelter. ​back to your own private log cabin nestled in the cottonwood trees. Enjoy your own private log cabin nestled in the cottonwood trees. 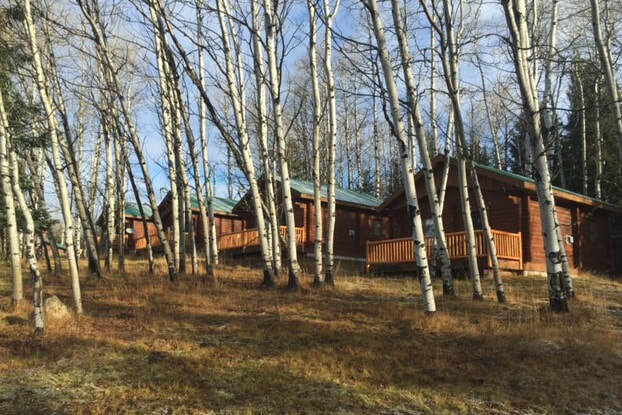 The cabins sleep up to 4 and include a private ensuite, kitchenette, barbecue and your own hot tub on your deck. Don't worry if you’ve forgotten something as there are plenty restaurants and stores nearby. We also have a farm store in the main lodge and are happy to pick up items for you to make your stay as enjoyable as possible. 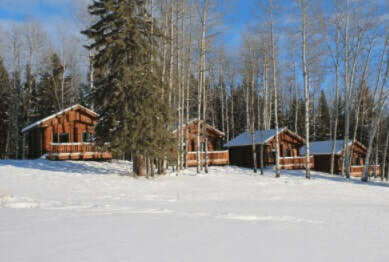 There are 4 log cabins nestled amongst the cottonwood trees, all available for booking. 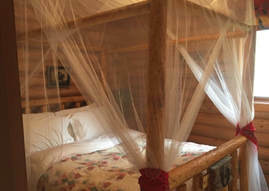 As a romantic touch, we have a separate bedroom with a handcrafted log canopy bed draped with mosquito netting & plush down duvets. The Cabin is decorated with antiques and collectables we've acquired over the years. 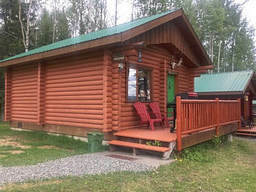 In the main area there's a pull out sofa bed just in case you need the extra space & a Vermont cast fireplace stove to create the perfect ambiance.Each cabin is appointed with ensuite, kitchenette, and on the deck you’ll find a barbecue and private hot tub. ​If you decide to bring your own horse you’ll have your own shelter and paddock adjoining your cabin. We have all the amenities luxury shampoo’s etc., hair blower, robes and all linens and towel too provided. Daily maid service is available. Larissa will be your professional therapist at Montana Hill Guest Ranch. 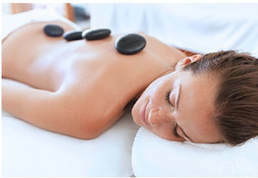 Larissa takes a personalized approach to the clients well-being, and ensures you leave feeling relaxed, revived and cared for. In an unhurried and comfortable atmosphere, Larissa will take time to evaluate your health history and understand your health & beauty concerns. As needed, Larissa is also well equipped to develop a personalized map to well-being. Hwy #24 that runs from Little fort to 100 mile house is known as the fishing hwy. 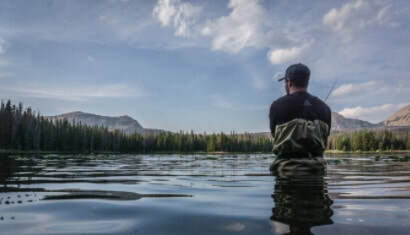 There are numerous lakes and lots of great fishing. Go fishing at one of the nearby lakes and bring your catch back to your cabin & cook up your fresh catch for dinner.